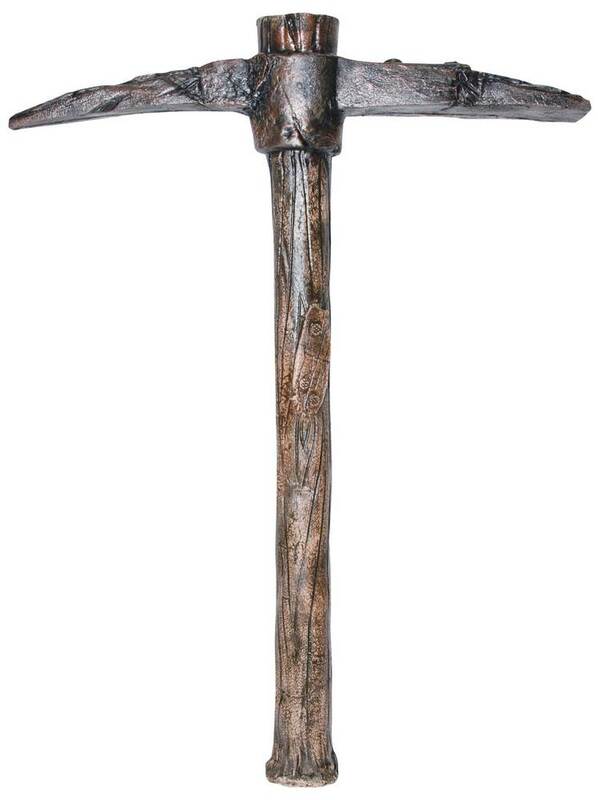 A pick axe you won't mind carrying around all night on Halloween! Lightweight and made of foam, this pick axe still looks very realistic. Measurements: 19'' L X 14'' W.